Roger Allard of Allard Motor Works in Montreal is a terrific guy. He took time out of his busy schedule to talk to me about the Allard J2X Mark II, and I’ll be writing about it for the next few columns. I really wish I could repay him by buying one of his cars, maybe in British racing green. I think these retro-looking roadsters are totally cool. And I’m not alone. Even Jay Leno couldn’t resist taking one for a run around the block. This gorgeous recreation of the legendary British race car is turning heads wherever it appears. It is most definitely NOT a kit car or “replicar.” Each one is custom built to high quality specs. And you won’t be seeing rows of them at your local cruise night any time soon. Allard doesn’t plan on building more than 100 in any given year, so the J2X Mark II’s owner club is likely to remain pretty exclusive. Note: I actually wrote this column in the fall of 2010 but I’m rerunning it now because the web page it was on no longer exists. But the Allard still does. Look out for it at the upcoming Canadian Historic Grand Prix this June. Just in case any of you live in or around Montreal, Quebec, you might want to check out the two columns I posted today for the Montreal Examiner listing upcoming events. I’m looking forward to the start of the season and hope to be covering various shows/cruises in the near future. 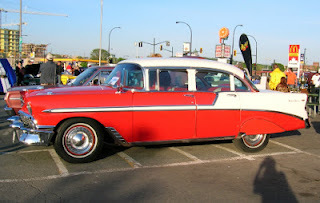 I’ve thrown in a few photos from a cruise night at the Orange Julep last year. No one seems to know exactly how long it’s been running, but it may be the oldest and longest-running cruise in Montreal. 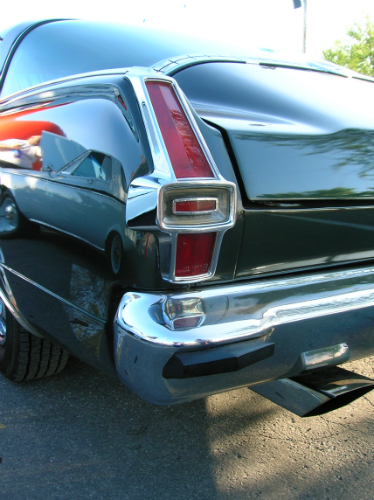 Here’s a video from the people at Chubb Insurance showing you how to get your classic car ready for driving. While it doesn’t go into great detail, it is a good checklist/reminder. The Allgäu-Orient sounds like a different kind of classic car rally. The cars—more than 250 in all—have to drive from Oberstaufen in Bavaria to Baku, the capital of Azerbaijan, a distance of some 5,000 kilometres, passing through Austria, Hungary, Serbia, Romania, Bulgaria, Turkey and Georgia en route. So far, that sounds like any other classic rally, but there’s a catch. It’s designed to be affordable. All of the cars entered have to be at least 20 years old, and they’re not allowed to be worth more than €1,111.11 or around $1,430. The teams must either sleep in their cars, carry tents, or find hotels that charge no more than €11.11 per person per night. And at the end, the cars are all auctioned off for charity. In addition, each car is expected to travel around 375 miles per day, without using motorways or navigation systems. I had a look at the Allgäu-Orientwebsite, which confirmed the details in the press release as far as I could tell (most of the site is in German, but some parts have been translated into English). Google offered to translate the page into English for me, coming up with the following headline: The Human Toll in Your Bold Rickety Boxes. I knew that couldn’t be right. Fortunately I had a German/English dictionary in the house and came up with: The Foolhardy People in Their Rickety Rattletraps. That at least makes sense. 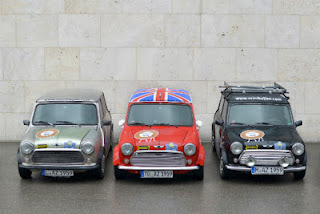 Not all of the Minis and BMWs belong to BMW Group Classic but they are supplying several teams of cars and drivers. They’ll have three works-prepared classic Minis running, and they also have three groups of three BMW 5 Series Touring models and a group of second generation BMW 3 Series Touring models. Mini is well known for being a great little rally car—should be interesting to see how the various teams do. With more than 50 cars on the grid, the Jaguar E-type Challenge was one of the highlights of the 2011 Silverstone Classic. Photo courtesy of Silverstone Classic. Vintage racing fans may want to holiday in England this summer. 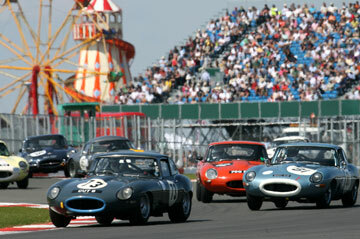 The 2012 Silverstone Classic, billed as the “world’s biggest classic motoring festival,” is scheduled for July 20 to 22. Organizers say it’s 90 minutes from London and 60 from Birmingham, and easy to get to. Judging from all the activities listed on their website, it’s well worth the drive. Getting to the UK is another matter. They have a 24-race programme with more than 1,000 entries lined up for this year. That includes two rounds of the Jaguar E-type Challenge. They’ll be celebrating the 50th birthday of the MGB, the Triumph Spitfire, the Lotus Elan, and the AC Cobra. They’re also hosting a BMW Z-Fest (the first in the UK) in honour of the 60th anniversary of the BMW Car Club GB. Add in a collection of Ferrari F40s to celebrate that supercar’s 25th. And if your kids or significant other aren’t interested in classic cars, there will also be classic rock bands, including Adam Ant, and Mike & The Mechanics, and a vintage fun fair. If you’re going to be in Germany between now and October, you might want to take advantage of a city tour offered by the BMW Museum. On certain days they offer three-hour chauffeured tours (nope, you don’t get to drive yourself, but do you really blame them?) of Munich in a vintage or classic BMW. It gets better. The tour starts at the BMW Museum, and drives into the BMW plant where you can watch the 3 Series coming off the lines. You also get a tour of BMW Group’s historic vehicle collection, a stop for a snack, and then a drive through the older parts of Munich. Next you get to check out a BMW showroom, before returning to the Museum, where you get a certificate of participation, a gift box, and a guided tour of the Museum itself. Sweet. The price is €120.00 per person. 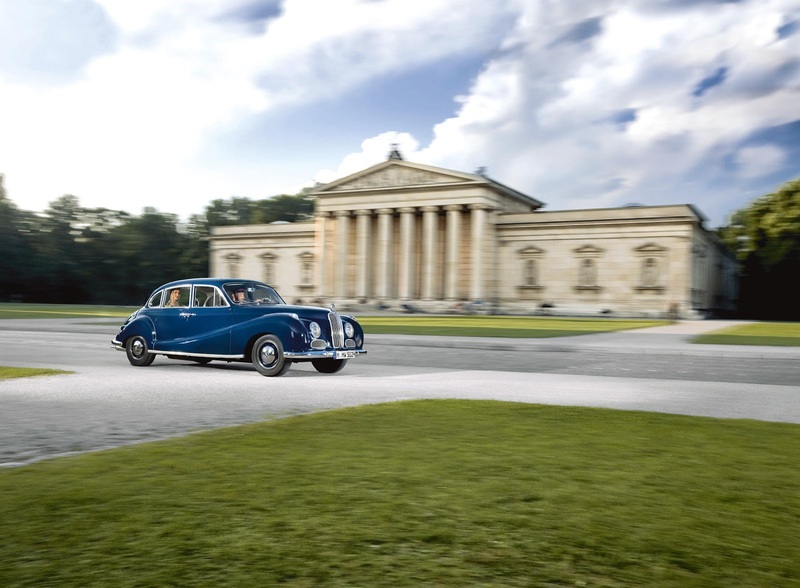 Possible vehicles include the BMW 326 and 335 convertibles from the 1930s (weather permitting) and the BMW 502. You can find more information on the museum website. Last year was the 10th anniversary of the Targa Newfoundland. It’s an annual rally over seven days and 2,200 kilometres of closed roads and possibly the most exciting rally race in Canada, for spectators as well as competitors. It looks insanely fun. There is a class for classic cars in the Targa, which is how I first became interested, though I haven’t yet seen it live. For those of us who missed it, however, a one-hour documentary of last year’s Targa produced by Toronto’s TV2GO Inc. can be streamed on demand from the Targa Newfoundlandwebsite. Take a look! Viewing it is free. The scenery alone makes it worth watching, and the cars are fantastic. Besides the classic cars, there’s a Dodge Viper, and a number of exotic sports cars, including at least one Ferrari. Hmm. Maybe I need to schedule a trip to Newfoundland this fall. Future Fords to Be Made from Money? Parts of them might be, according to Ford. The rising price of oil doesn’t just affect us at the pump, it can affect the price of new vehicles too. That’s because the average vehicle contains 300 pounds or so of plastic, traditionally made from petroleum products. 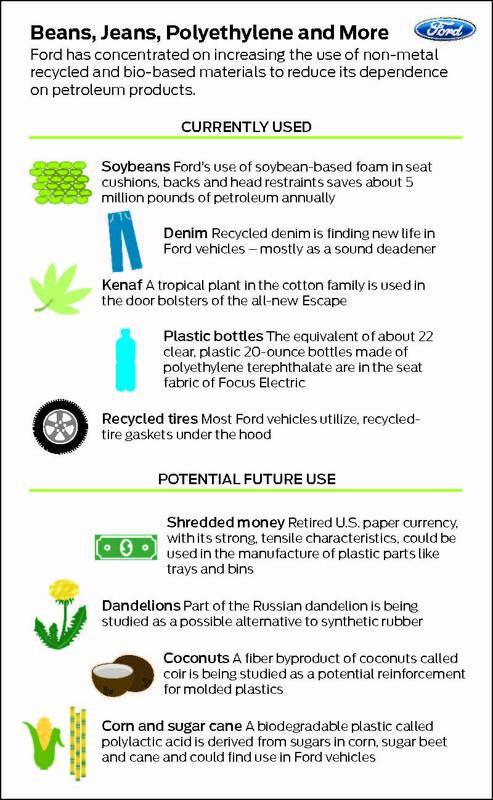 As a result, Ford and other manufacturers have been looking for alternative materials. One of those might be shredded US greenbacks. While I suspect some of that is just marketing bumph, I don’t doubt Ford’s desire to look green and economize. Saving money by using money seems a bit bizarre on the surface, but it could actually make sense. Ford claims that something like 8-10,000 pounds of retired currency get shredded on a daily basis, with the resulting product currently being burned or buried. Ford is considering the currency as a component of interior trays and bins. Assuming their research pans out, it could be a win-win situation. 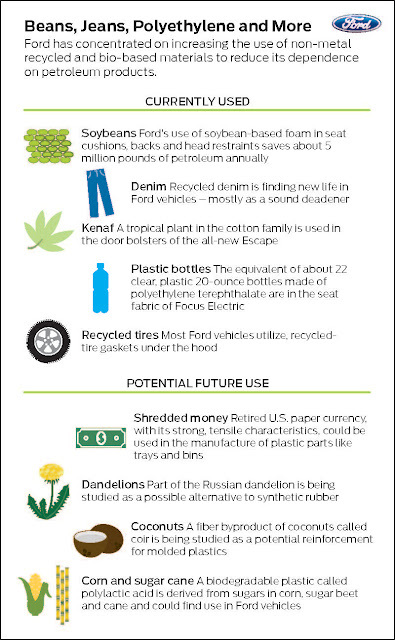 Less non-renewable resources being used in manufacturing, plus using a waste product that would otherwise go to the dump. Most of us drive pretty boring cars. After all, when you have to haul the kids to soccer practice, pick up groceries, or take the extended family on vacation, practicality wins, especially on a limited budget. Secretly, though, we’d all rather have something more exotic. That’s where XLR8 comes in. It’s an app for your Android, iPhone, iPod or iPad that makes your car sound like a supercar. Have to admit I love the concept. It’s almost enough to make me actually invest in an iPhone, just so I could try it. The app uses the accelerometers and GPS inside your phone to produce the appropriate engine sounds (recorded from real engines) in response to your driving. Plug your phone into your car stereo, choose the car you want, and vroom! There are five different supercars available. The basic app, for 99₵, is the Classic V8 Muscle Car. Additional engine sounds that can be bought are a Lamborghini, a Ferrari, a NASCAR engine, or a Ford GT40. It’s also possible to buy the Engine Four Pack which unlocks them all for $4.99. You can also put the app into manual mode. It will then respond to the phone/iPad being moved and tilted—one way to entertain the kids while you’re stuck in traffic. You can download the Apple version here and the Android version here. We’ve all thought about a custom paint job on our car, especially if the vehicle in question is a hot rod. But paint’s expensive, and before proceeding with the project, wouldn’t it be nice to see what it would look like? Maybe even try out more than one idea? 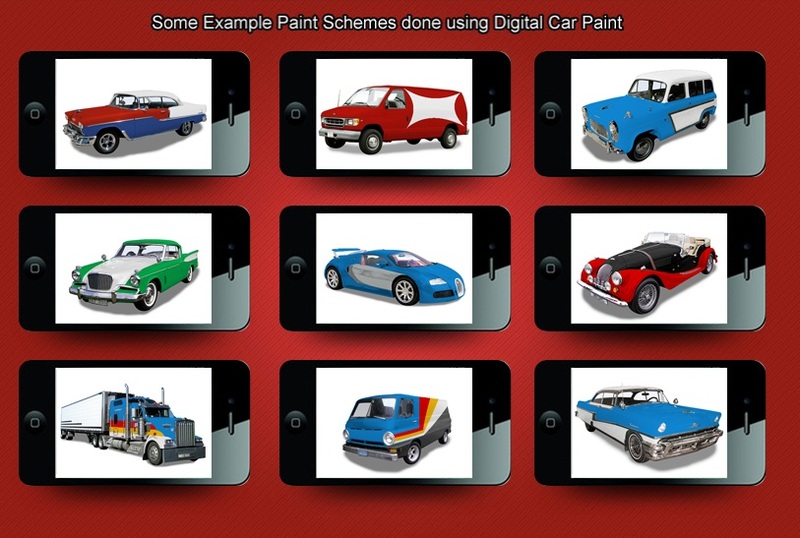 Thanks to Digital Car Painter, a new app for the iPhone/iPad, you can do exactly that. Put out by Bestapp Digital Enterprises Ltd. of Surrey, BC, this fun app lets you try different designs. Even better, it actually uses the colours from DuPont’s Hot Hues paint line, designed for hot rods. Courtesy of and copyright by Bestapp Digital Enterprises Ltd. 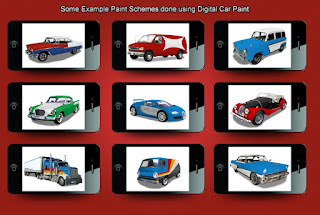 The basic app is a free download from the Apple Store (you can also find a link on the Digital Car Painter website). If you want the more complete version, which lets you save, e-mail, post to Facebook, and access the paint colour codes, it’ll run you $1.99. I figure you can have enough fun playing with it that even if you never paint your ride, you’ll certainly get more than your money’s worth. Check out the Digital Car Painter in action in the following YouTube video. A press release from vehicle tracking company LoJack Corporation about a stolen Lexus they’d recovered for the owner had a useful reminder about programming your GPS system. Don’t enter your address under the “Home” button, especially if you have an attached garage. Why? Thieves can use that information to take your stolen car back home (after all, they know you’re not there), access the garage, and then break into your house. Intellectually, I don’t see the need for a V-10 engine that kicks out 640 horsepower and 600 lb.-ft. of torque. That’s a lot more power than most cars and yet our daily drivers do just fine. How much more power? 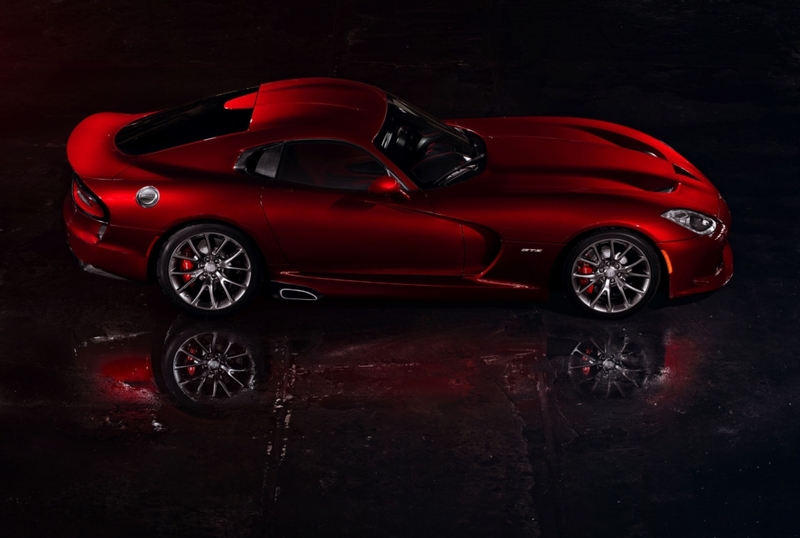 According to Chrysler, the new Viper has more torque than any other naturally aspirated engine. Unless you have access to a racetrack, where are you going to drive something like that? But after seeing footage of the new SRT Viper (I keep wanting to call it a Dodge Viper, but SRT—Chrysler’s Street and Racing Technology group—is now its own brand), I desperately want one. I don’t care how impractical it it, it is unbelievably gorgeous. Sounds great, too. Not in my budget, of course, which is why it’s here in my virtual garage rather than sitting in my driveway. Check it out for yourself in these two videos from Chrysler. The first video shows the Detroit plant where the 2013 Vipers, both the street legal SRT and the racing SRT GTS, will be hand-built. Shelly Brown Alore, the plant’s operations manager, claims she has no trouble with absenteeism. I believe her. Who wouldn’t want to be part of the team that puts these cars together? 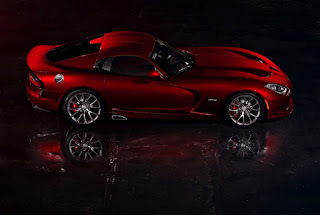 The second video is footage of the unveiling of the two Vipers last week at New York’s International Auto Show, followed by stills and video of the SRT Viper in action. Take a look. Isn’t that one stunning car? And wouldn’t you love to have the president and CEO OF SRT, Ralph Gilles’, job? One of my favourite cruise nights is the one put on by #7 Classic Cruisers in Marmora, Ontario. Every Thursday night from mid-May through mid-September, Marmora’s main street has classic cars parked up and down each side. While I’ve been to it several times over the years, there’s always at least one car I haven’t seen before, along with some old favourites. In fact, there seems to be a higher proportion of “only in Canada” cars at this show than I’ve seen elsewhere. I’ll be looking at the history of some of those models in future columns. They’ve always got music from the 50s and 60s to add to the ambience, and sometimes Elvis (tribute artist Matt Dowsett) shows up to really get things rolling. I’d say that alone was worth the price of admission (he’s that good), but, like most cruise nights I’ve been too, admission is free. Here are some of my favourite photos from past cruises. You can find more photos on their website (not yet updated for the upcoming season), or on their Facebook page. Welcome to my virtual garage. I’ve been eyeing up cars all of my life, and writing about them online for the last year and a bit, so when one of the pages I wrote for called it quits, I decided to start my own blog. 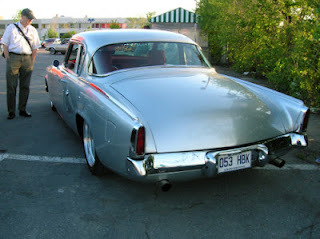 I’ll mostly be talking about classic cars, whether they’re at local shows, spotted on the street, or online. More recent cars that I think are cool may show up here, too, as well as hot rods, kit cars, the occasional motorbike and info on car rallies. Of course there will be photos, videos, and links to other cool car sites. I’m not mechanically inclined so unless I can get one of the mechanics I know to guest-write, there won’t be much on restoration here. If you’re doing a restoration and would like to be interviewed, though, give me a shout. If you run an automotive museum, or have an interesting collection that’s open to the public, I’d love to cover you, too.